Go into the Bamboo forest and listen to the sound of it. Tainan National University of the Arts, located in the WuShanTou forest and surrounded with green bamboos, has plenty bamboo resources. This material of the workshop is Bamboo. 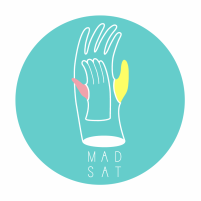 MAD’s Saturday teaches children to knoe bamboo and to learn how to use saws, hammers, tongs and so on.